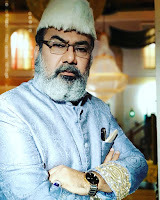 “Every organisation must have an action plan and checklist to include standing orders, ethics policy, preventive steps, comprehensive awareness mechanism, penal consequences of sexual harassment, anti – sexual harassment drive, grievance redressal, complaint procedure, expected time taken to resolve and other elements to effectively address prevention of sexual harassment at workplace,” said Mr. Vinay Kirloskar, Vice President (HR), Reliance Industries at the Workshop on “Prevention of Sexual Harassment at Workplace (POSHA)”. To ensure safe working place for women, World Trade Centre Mumbai in association with Employers’ Federation of India organised this workshop for sensitizing Industries and Corporate houses for prevention of Sexual Harassment at the workplace. Many women quit jobs primarily due to lack of flexibility, ignorance of laws by employers and the impact of poor organisational culture. 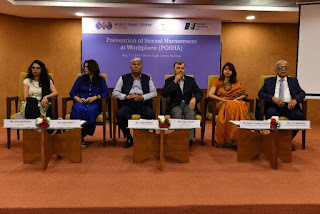 An effective work culture with zero-tolerance, discrimination and harassment-free workplace to all employees with a well drafted Action Plan is key to strengthen women’s role and participation in the economic and community affairs, Mr. Kirloskar added. Earlier in his Welcome Address, Mr. Vijay Kalantri, President, All India Association of Industries (AIAI) and Vice Chairman, MVIRDC World Trade Centre Mumbai shared, “For many years, women have been bereft of opportunities irrespective of having best of talents and skills. Women have tremendous potential and strength. It is important to provide them with equal opportunities, respect and dignity. Lately, the government and society have started acknowledging the place of women and giving them equal opportunities. In light of the above, the present government has put in great emphasis on “Beti Bachao, Beti Padhao”. He suggested to prepare a White Paper on the ‘benefits and opportunities for women at workplace’ with all institutes and associations. “Sexual Harassment is like an Epidemic. It is prevailing not only in India, but also elsewhere in the world,” said Ms. Samriti Makkar Midha, Psychologist (Clinical) and Corporate Trainer during the workshop. She highlighted differences in people’s perception, comfort level, mindset, culture, experience, understanding, boundaries, etc in context of sexual harassment. She also described types of sexual harassment which are acts of offensive conduct and suggested that these can spoil work culture of the organisation. Ms. Shivangi Prasad, Legal Advisor, specialising in laws related to women and child rights, including the law on sexual harassment of women at workplace explained the responsibilities of employers. She suggested that in every organisation an Anti – Sexual Harassment Policy should be formulated with the presence of an Internal Committee to cater to cases pertaining to sexual harassment. Trainings and workshops must be conducted for employees in order to create awareness. Ms. Sana Hakim, Criminal Lawyer with expertise in Negotiable Instruments and Personal Family Law, explained the role of an Internal Committee set up by an organisation to address POSHA and added that actions such as suspension, transfers, withhold appraisals, etc. can be taken and suggested that such actions should be imposed as per the gravity of the situation. She also introduced the audience to the recently added sections under the Indian Penal Code such as Sexual Harassment, Assault or Criminal Force with intention to disrobe, Voyeurism, Eve teasing, Stalking and Acid Attack. Earlier, Mr. Vijay Padate, Director General, Employers’ Federation of India provided a brief outline and importance of POSHA. He remarked that we have witnessed lot of infamous situations recently and the ideal policy of an organisation with respect to sexual harassment should include taking all claims seriously followed by quick investigation, a fair and transparent process and swift as well as decisive action. He emphasised that the Law against Sexual Harassment at Workplace is very important to maintain good employee relationships. Mr. Lancy D’Souza, Advocate, High Court and Advisor, Bombay Chamber of Commerce & Industry briefed the audience with recent judicial decisions on POSHA. Ms. Karon Shaiva, Founder, Chief Impact Officer & Managing Director, Idobro Impact Solutions, also shared her perspective with the audience on this. Mr. Y. R. Warerkar, Executive Director, MVIRDC World Trade Centre Mumbai proposed the Vote of Thanks. The workshop created awareness about treating women with dignity at workplace.